you my two sense, five sense, ten sense, ten dollars, whatever the “F” you want to call it! 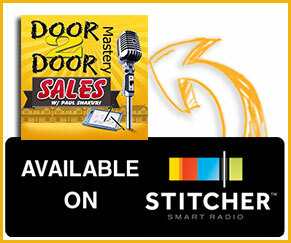 The first question comes from Geoff Weaver “do you think door to door sales is suited for some products and industries more than others?” Yes, Geoff and for all of you reading this, I do agree that some products, services, and industries are suited for door to door sales more than others. The biggest rule of thumb you want to take away from this, is, who is your potential Avatar? Who is the potential customer you are going to sell to? For example; pest control services can go to the customer’s property, their front yard and backyard! Magazines are another example. Where do they get delivered? They get delivered to homes and businesses. Your potential customer then becomes the business owner, the person WHO WANTS to subscribe! Solar is another example where door to door sales is suited because its services are located on the potential customer’s property. Books! Selling books can be challenging! How much money can you really make selling books? Is it high reward per sale? Home security and home automation give away the security system at pretty much at no cost but that’s because people pay for their monitoring for a really long period of time. Which means there’s a lot of money upfront so that the monitoring stations the investors invest in, can pay the salesperson, the equipment, and then make their money back a little later on. 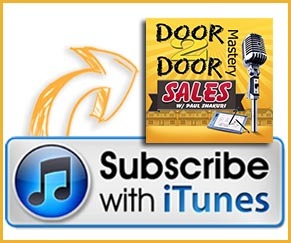 Overall, yes there are other products and industries that are BETTER than others for door to door sales! “I have a mortgage and was introduced to a financial software program that helps folks pay off their mortgage…” “They can also pay off other debt more effectively…” “I would love to do this fulltime and thought that door knocking would be a good prospect but it is not really as close as I think…” So, let’s think about that for a second! You have a mortgage background which is awesome! I own a software and I am a programmer myself! I am assuming faster payments, you know if you pay weekly, your mortgage will be paid quicker. That’s’ cool! Sounds good! Here is what you have to think about, does everybody at the doors have a mortgage? YES! Or at least the majority do! How much money can you really save these people? People these days don’t care about the small differences. They care about the BIG differences. You have to factor into account how good is your product and how much of a VALUE you can get for it. You have to think long-term! Money doesn’t mean Everything! The money will chase you as it has chased me! Most of you think only of how to make a quick buck! Geoff, you have to think, is it something that you can stick behind, that you can build residual with? Ask yourself all of these questions and then make a decision based on what you have concluded. A question from Michael; “I work for spectrum as a door to door sales rep and I won a weekend getaway and this Saturday night I will be hanging out with upper management from Spectrum. They are looking into some third-party training and I can’t think of anyone better than yourself… if I can drop your name would you consider doing a course for our company?” I love new opportunities but I can’t make any promises, as well, the project has to make sense. Lately, I have been booked solid! People have asked for me to do consulting as well! The answer Michael is YES! It just has to make sense and it would have to fit in my working schedule! So what you need, the cost is to be looked into and reviewed before putting a training course in place! door to door sales, being a true entrepreneur. So thanks for that! The next question comes from Zach and he asks “do you have any suggestions for a door to door CRM program?” Absolutely! There’s a few out there. One of my own is called Active Knocker over at www.activeknocker.com. There is Sales Rabbit, there is Spotio, you can go into these and there’s one called data reef. The two best Sales Apps in my experience are sales rabbit and spotio. However, they are pricey! That’s where mine comes into play and will be available in the next few months! We are out of beta testing mode with Active Knockers and should be fully developed as I have a set of programmers working on it. Mike Reed says “I didn’t know you did door to door mentoring, have you ever thought of integrating this with FillQuick for dealers? The answer is YES! We have so much coming up ahead with the mentorship and this knowledge is not to be kept away from or by itself from FillQuick users. Now, I am building a program for Alarm Dealers specifically, we will upload it directly to your FillQuick account! Of course, if you purchase the actual program, once we are done we will be releasing it out to you guys. Before its launch, I might have my Team prepare a pre-buy! If you are interested in that, then fire me a message at pshak@doortodoormastery.com. I’m going to dive into a few more questions before we wrap up! This comes from Brenda! “My manager Beth took me under her wings and with working with me I was nervous about closing and that I would end up sabotaging at the door. She also had me watch some of your videos and after a lot of practice I kept on getting renters, I know my day will be coming where I will be selling like crazy numbers weekly.” First of all, your manager Beth is a blessing! Thank you, Beth, for trusting that I am knowledgeable to train and teach about door to door. Brenda, you said you were nervous when I first started too! After a few doors, you build up that mental muscle and that nervousness goes Away! QUALIFY your potential customers in your Opener Pitch to see if they are renters! Closing the sale is not that difficult once you have acquired the skills! So don’t lose that drive! 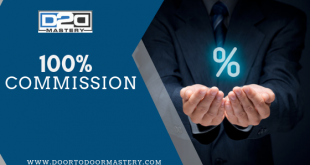 how to be a closing deal monster grab my Masterd2d.com program! Have a wonderful day!